Keeping your property as beautiful as possible can be a challenge when dealing with the complex and varied terrain that is in California. Being able to manage the interesting mixture of the indigenous and imported plant life in California can most definitely can be confusing to someone who is not a professional. Luckily, at Your Way Tree Service we provide our customers with top notch tree trimming and removal service that will make sure your property is looking the best that is possibly can. Our company is insured and will work with you to help create the landscape of your dreams in the safest way possible. Trust Your Way Tree Service to provide you with superior advice and service for all of your tree trimming and removal needs. The removal and trimming of trees can be an incredibly dangerous activity that should be done only by professionals with experience handling a variety of trees. Whether trees are being removed in an apartment complex, a residential area, or a commercial area, trees should be removed as safely as possible in order to ensure that your property remains intact and no one gets hurt. At Your Way Tree Service we are a fully insured and bonded professional tree service that puts our safety first. We are proud to have experience, a crew of dedicated professionals and top-notch equipment to ensure that all of your tree services go off without a hitch. If you are looking for a quality tree service in the Beverly Hills area look no further than You Way Tree Service to fulfill all your needs. Is your property filled with beautiful trees that you have absolutely no idea how to take care of and maintain in a way that does not seem cluttered and dark? Your Way Tree Service can provide tree consultations which will provide solid advice on how to improve the look of the trees on your property. Whether your trees may require historical restoration, expansion or preservation, we have got you covered. Trees are an incredible ecological accessory to any piece of property. 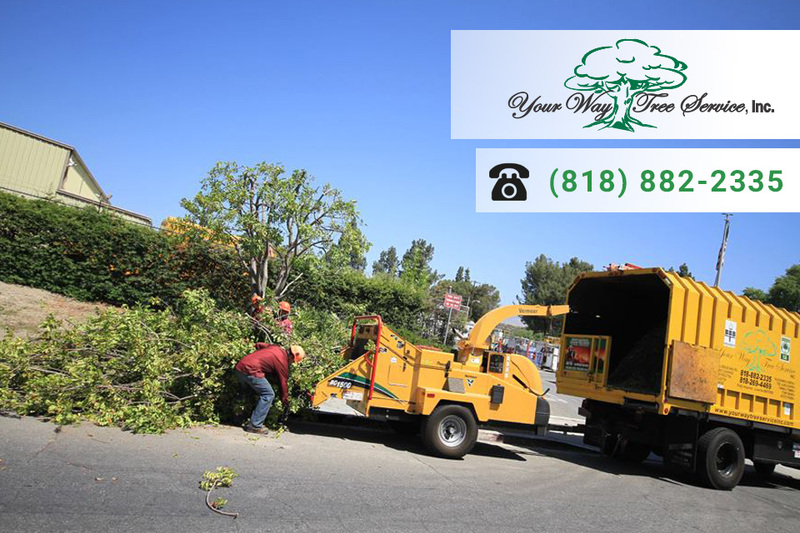 Trust Your Way Tree Service to provide you with top of the line tree services for your Beverly Hills property that will be sure to make your neighbors jealous. Call 818-882-2335 for a free estimate today! It is never too late to invest in the beauty and well being of your property, start today!